Though I started trekking in 1994, I could not continue it at the same pace as I ended up in IT industry. While I was in college and early years of my career, I still managed to do some short timed treks with friends and sometimes with my students. But with the increasing work load and career ambitions, I drifted away from being into the woods. It was when I was working with a MNC, I got an opportunity to trek Harishchandra gad. And that wasn’t the first time I visited Harishchandra Gad. At least 3 times prior 2012, in early days of my trekking I had been to this fort. We used to call it ‘The paradise of Sahyadri’. I had explored and always led the team members to this fort and that too via different routes each time. That much energetic and enthusiastic I was! But this time, in 2012, I was the last one on the trail. I could hardly breathe as I hiked. And all this was happening because of the lifestyle I had adapted myself to. I realized that I was overweight. Well, that’s another story tell may be some other time. I was tired and almost breathless when I reached atop the fort. I was raining heavily. And to my surprise, there were like more than 500 trekkers on the fort. Many groups and each group had occupied almost every single cave on the fort. We were left with no place to let our hair down. Somehow, I managed to find one very small cave and we decided to camp there. The next morning was something that turned my surprise factor into annoying thing. Almost everybody, the huge crowd, was totally unaware of the etiquette of being into the mountains. I saw people discharging stool, literally at any place they find open. They hardly had any shame neither sense of responsibility towards such a great place. Wow, see there 10 big reasons to get into wilderness. These are the great benefits of trekking. And for me above all these, trekking make look deep in myself. I have always felt that, the moment when I could be liberated or ENLIGHTENed (if at all it has to come !) would be that of during some trek in to jungle, mountains or canyons. But when I saw people littering the fort with stool,plasctic, noise and some were even throwing empty cans and bottles of liquor in bushes; I got really angry. But there was hardly anything I could do. With such an experience, how could one find joy and peace in mountains? Another very annoying fact that I have seen over many years, in Sahyadri. The forest-fires. 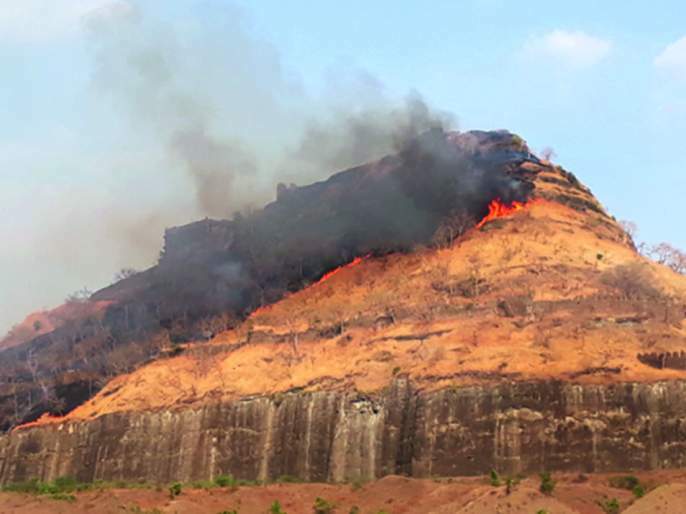 In the month of Jaunary, I saw the balekilla (topmost fortress of the main fort) of Rajgad for all burnt. It turned all black as the grass caught fire and got spread very quickly. Balekilla is such a place, where normally nobody goes but trekkers. And its quite obvious that due to someone’s mistake this happened. And this is not the only incident. It happens quite a lot. And every year!! Apart from beauty of nature and physical fitness, we would be getting lot regret of why we came into mountains? To see the piles of plastic wrappers, plastic bottles, liquor bottles!!! Annoying isn’t it? And that’s the reason, I thought that I should write some etiquette of mountains so that trekkers can be real friends with nature. Avoid carrying plastic. Anything that is plastic or come wrapped in plastic should and must e avoided. The group size of trek must be 8 to 10. Not more than that. The trek leader must know and practice these etiquettes himself first. While finalising a place to camp, the leader must first identify area where everybody would discharge in the morning and make sure they cover it up with soil before they leave the place. Trek leaders, organisations engaged in fort restoration can think of constructing such ECO toilets on forts. Use diary to note down some observations if you have. Some monuments found by you could lead to new discoveries in history and may geography. After the trek, make sure you post the pics of such unusual observations on social media with some hashtag so that people interested in those topics may find some cues. Don’t make noise. Don’t play music and don’t dance. Don’t feel pity of locals at all. They are happy leading their lives. Don’t offer anything just out of pity. Instead you can request them to cook food for you and pay them. You can take one of them as your guide to the mountains and pay rightly. Make a special pocket in your backpack, to collect trash you may find on the trail. This way we make sure that the trail is in better condition as you leave it. Bring the trash back to city and do not dump it just anywhere else. Make sure you plant some seeds while on treks in monsoon. And do take picture of the place. Ask your friends to see how the plant has grown over time. Find time to revisit the same place and take a selfie with your TREE. Carry ECO-friendly products – Instead of toothbrush you could use neem sticks or some dantmanjan which don’t leave any chemical in to nature. Avoid plastic or foam plates, in-fact it must be considered as crime to carry plastic or foam plates. Bring reusable items, utensils. When setting up Chulha or campfire, make sure you clean an area of apprx 3 ft wider all sides and then set up fire at the centre. This was you will make sure that, forest catches no fire. It was in 2012, i started these practices while trekking camping in western ghats, forts. I did trek almost the forts around Pune. And I make sure that i educate many trekkers whom I see on forts. And trust me, fellow trekkers welcome such suggestions and they bring their trash back to city. Its a good service to nature. And yes, i started trekking again and am up to it every month. See the new me in picture below. Hope you all liked the suggestions. Being a nature lover, I strictly follow all above etiquette. And would appreciate if all the trekker community start following it. Author is a trekker, camper, climber, blogger from Pune. Nice write up. It’s high time mankind realize the hazards of plastic and other sources of pollution. Mankind is rapidly progressing towards self destruction. Plastic must be banned with immediate effect. I had similar experience while I went to Khandas Bhimashankar trek, as we reached the summit, we saw a pile of garbage thrown in the valley. It was a pathetic sight. Plastic must be banned at least at the eco sensitive zones. Thank you Dr. Completely agree with you on plastic ban. Also we should make sure that every trekker is well aware of such green practices. Trekkers, going further can educate locals also on this.